An intimate look inside the fence of a Chicago-area steel mill. The tour starts at the coke works to witness a fiery push of incandescent coke out of an oven and the spectacular steam clouds as the hot coke is cooled down. The next stop is at the blast furnace to watch 3,000' molten iron tapped from the furnace on the cast house floor, with its incredible heat and flying sparks. Hot metal cars are moved into position to be filled underneath the cast house floor. On the Highline trestle in front of the furnaces, raw materials are brought in and the scale car underneath brings them to the skip hoists. The molten slag flows out of the furnace into a pit for cooling. Other sights in the works include a pig iron caster, the two blast furnaces (one with a brick cast house), an old hot metal car, SW-1001 locomotives and myriad other details inside the plant. 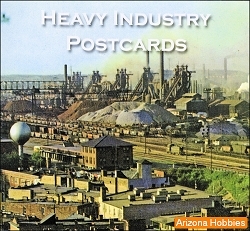 The second part of the video visits 48 steel mills & foundries in Minnesota, Illinois, Indiana, Ohio, Pennsylvania, West Virginia, Kentucky, Alabama, Utah, Colorado, Ontario and Nova Scotia. 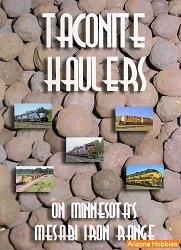 The railroads include the Birmingham Southern, Bessemer & Lake Erie, in-plant steel mill railroads and Pittsburgh mainline trains near the mills. 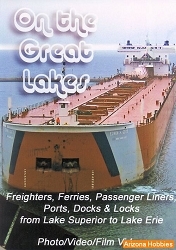 The DVD version includes a self-starting CD-ROM, that is like looking at a book on a computer (PC or Mac), with 492 photographs, and some steel mill documents and publications (not included with VHS version). Prairie Works, DVD and Photo CD-ROM Book, 96 minutes.